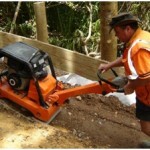 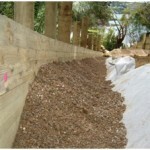 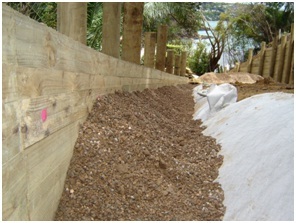 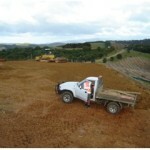 This project involved stripping the topsoil and erecting the lower retaining wall around the car park. 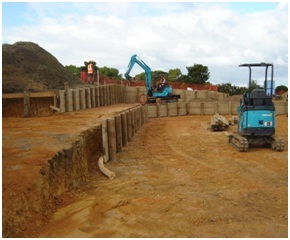 We then excavated the building platform, compacted the fill into a car parking area and erected the upper wall in the car park. 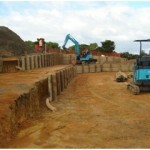 Second stage was to wall the fill area of the building platform, cut and fill the building platform and additional car park then prep and lay the kerb. 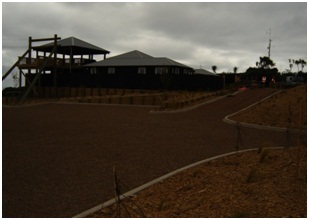 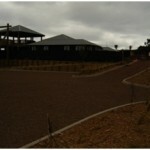 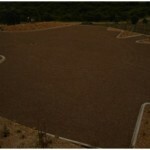 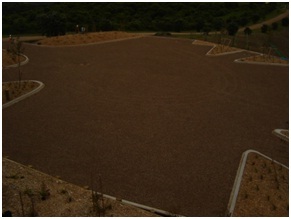 To finish we metalled the driveway and car park. 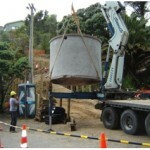 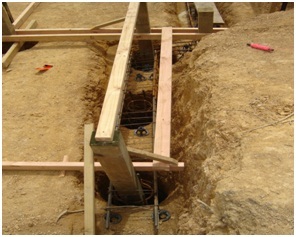 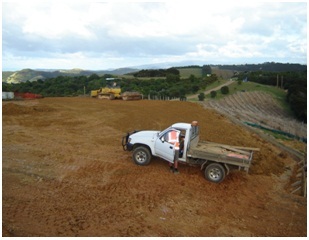 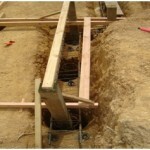 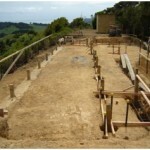 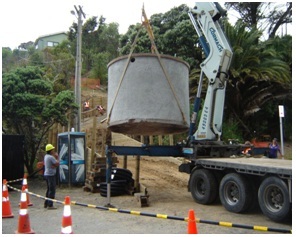 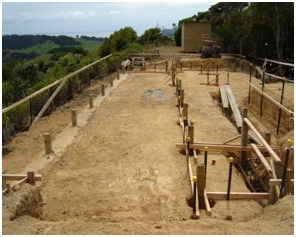 This project involved: stripping & stockpiling topsoil, excavating 150 m3 of fill from house site, excavating footings for barrier pile wall, drilling 38 six metre holes into footing, placing steel cages in holes and filling footing with concrete. 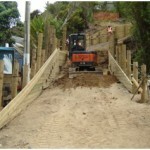 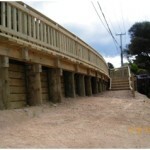 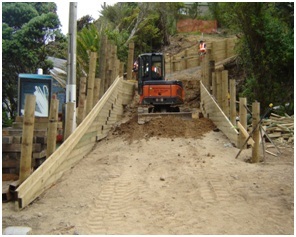 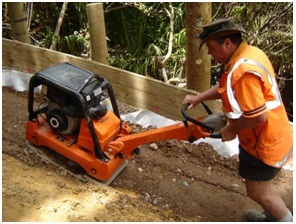 This project involved: clearing vegetation,excavating driveway, building retaining walls, installing drainage, filling driveway with hard fill, placing concrete and installing handrails and wheel stop. 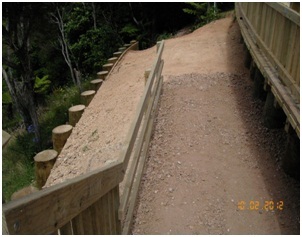 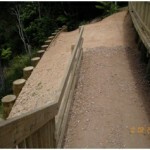 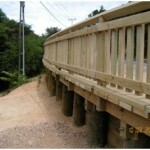 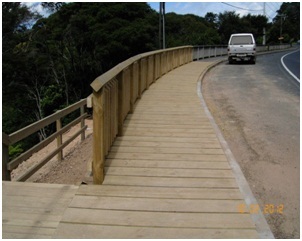 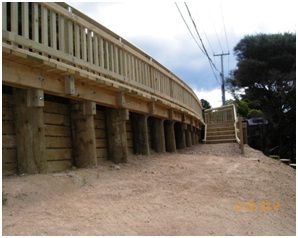 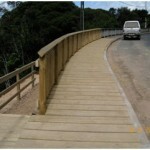 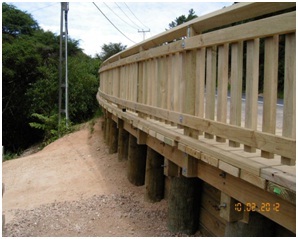 This project involved: removing the existing board walk, building a retaining wall in front of an existing gabion basket wall which was failing, building a further retaining wall above this and replacing the board walk.